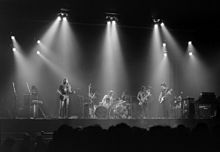 The record builds on ideas explored in Pink Floyd's earlier recordings and performances, while omitting the extended instrumentals that characterised their earlier work. A concept album, its themes explore conflict, greed, time, death, and mental illness, the latter partly inspired by the deteriorating health of founding member Syd Barrett, who departed the group in 1968. 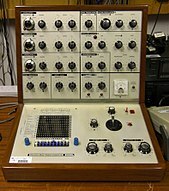 The group used advanced recording techniques at the time, including multitrack recording, tape loops, and analogue synthesizers. Snippets from interviews with the band's road crew, as well as philosophical quotations, were also used. 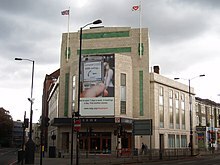 Engineer Alan Parsons was responsible for many sonic aspects and the recruitment of singer Clare Torry, who appears on "The Great Gig in the Sky". 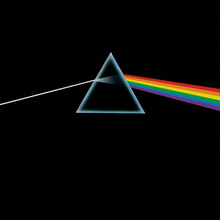 The iconic sleeve, which depicts a prism spectrum, was designed by Storm Thorgerson, following keyboardist Richard Wright's request for a "simple and bold" design, representing the band's lighting and the record's themes. The album was promoted with two singles: "Money" and "Us and Them". ^ Ann Harrison (3 July 2014). Music: The Business - 6th Edition. Random House. p. 350. ^ "Czech Gold". Billboard. 17 November 1979. p. 70. Retrieved 19 March 2019. 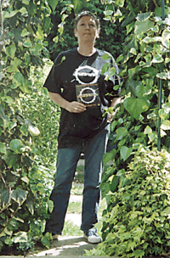 Coleman, Mark (1992). "Pink Floyd". In DeCurtis, Anthony; Henke, James; George-Warren, Holly (eds.). The Rolling Stone Album Guide (3rd ed.). Random House. ISBN 0-679-73729-4.